Meetings are held at Missouri Botanical Garden, 4344 Shaw, St. Louis MO at 2:00 p.m, the fourth Sunday of February, March, September, and October. 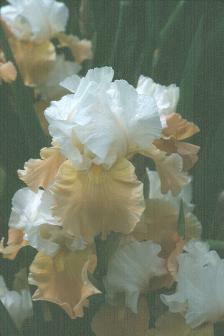 We try to schedule at least one national iris speaker each year. Other meetings can be iris slide programs, iris work shops or whatever the general membership desires. Flower shows are usually scheduled in April and May. We have an annual MOBOT Public Iris Sale in August, a Picnic/Members' Bearded Iris Auction in August, a Beardless Iris Members' Auction in September, and a Holiday Pot Luck in December. Dates are usually set in Jannuary and communicated via our GSLIS Newsletter. The newsletters will be posted to this web site as they are published. Members and guests have an opportunity to learn significant information about the different iris types, iris hybridizing directions and the latest varieties introduced for sale from around the world.